by Thomas McKenney; Philadelphia: E. C. Biddle, 1836-1844. 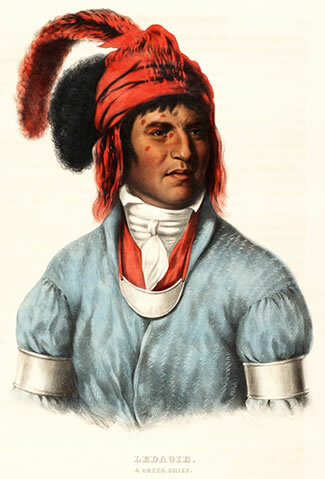 McKenney was the first head of the Bureau of Indian Affairs who commissioned Charles Bird King to paint portraits of the many Indians who came to Washington. 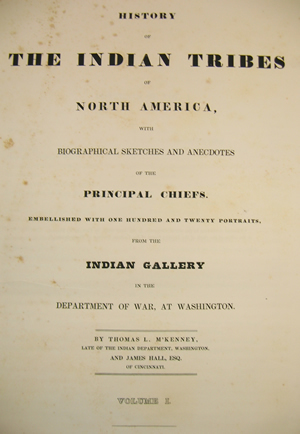 Throughout these three large volumes, 120 hand colored lithographs reproduce his portraits.